Windows 7 offers plenty of options when it comes to personalizing your system. Customizing your Logon screen is a new option added to Windows 7 and we have previously seen how you can change your Windows 7 login screen background. The process we described in the previous post works quite well, but it is limited to using one specific image as logon screen background. 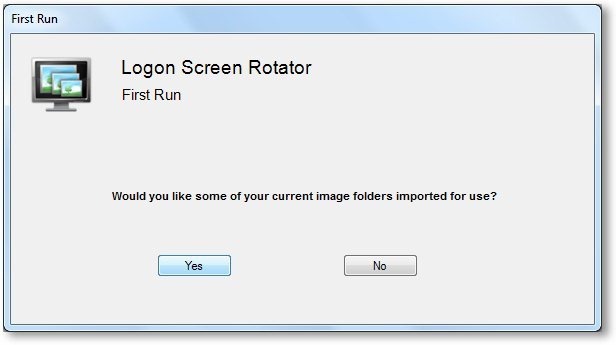 If you wish to take it a step further and rotate the logon screen images at regular intervals, just like the desktop wallpapers, Logon Screen Rotator would do the trick. 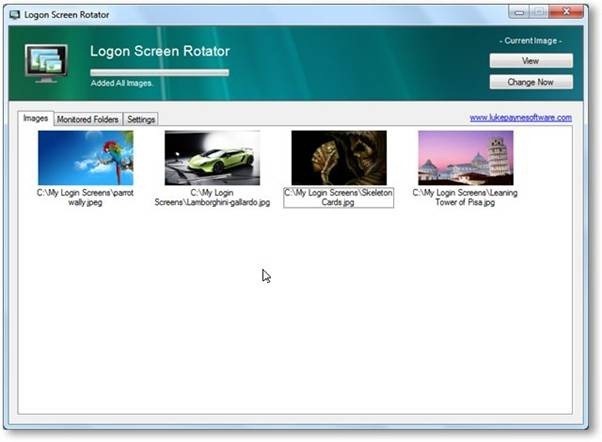 Logon Screen Rotator is a useful application that will keep changing your logon screen background from a pre-defined set of images. You can choose which images should be used and set the change interval. Download (link below) and installation for this software is simple and straightforward. Once installed, you can access the program from the start menu. On the first run, the application asks you if you wish to check for earlier versions and import its settings or if you wish to go through some steps to get started. If you choose to proceed, you get the screen shown below or else you go straight to the main interface window. 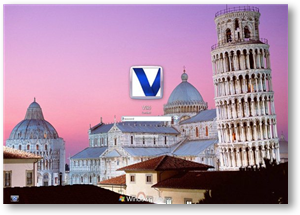 If you wish, you can add your images folders to be used a logon screen backgrounds. Once you finish selecting the images, the main interface window pops up. The top bar shows you the status of your actions. The application monitors for changes in your folders and loads any new images; hence here the status is ‘Loaded All Images’. You can click View button to view your current logon screen and Change Now to apply a random image from your selected folders as the logon screen background. The application defaults to the Images tab when it starts. 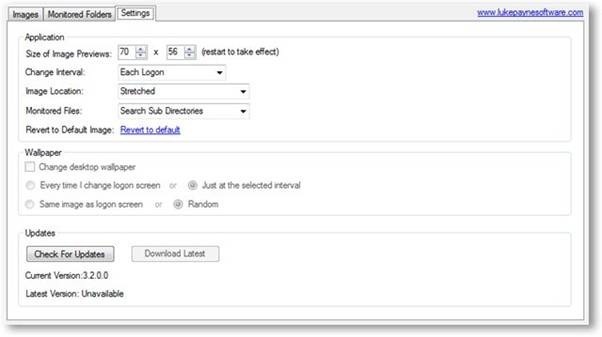 When you Right click in the tab area you would get the options shown below. You can browse to add a specific image, remove a specific or all images. If you click on an image, you can view it or apply it as a current logon screen background. I added a few of my favorite images here. Note: If you right-click on the blank space and not an image, clicking on ‘Change To This Image’ gives an Unhandled Exception. Click continue to proceed in this case. The second tab ‘Monitored Folders’ gives the option to change the folders that we wish to have monitored for use. Most of the folders are added to the list by default. You can add/remove folders here in the same way as you add/remove images in the first tab. I added the folder ‘My Login Screens’ to be monitored automatically for changes. The settings tab allows you to change the settings like – Image preview size on the Images tab, Change interval, Image location and more. Size of Image Preview: Set the preview size of the image that you wish to see in the Images tab. Change Interval: This is the setting that we concerns us the most. You can set the logon screen background to change at Each Logon, Each Day, Each Computer Lock and Each Computer Lock and Logon. Image location – Set your images to be set as Stretched or Center. Revert to Default Image – Reset to the default image. 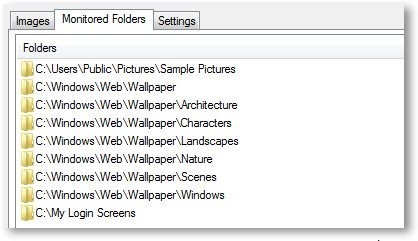 You also have the option to set change intervals for wallpapers here, but it is a less useful feature for Windows 7 systems as wallpapers are better handled by the Windows 7 Themes. You also have the option to check for updates to the application. Note – If you use a firewall software, it may give you a warning that the application is about to create a new file/folder in the ‘C:\\Windows\\System32\\’ directory when you ask to change the logon screen background – and the firewall may block this operation. You may have to add the application as a “Trusted Application” to ensure smooth working. Logon Screen Rotator is a useful application to personalize your Logon Screen Backgrounds to select images of your choice. You will always be greeted by a different logon screen each time you login to your system. A useful application – convenient, easy to use and gives you all the options you want. 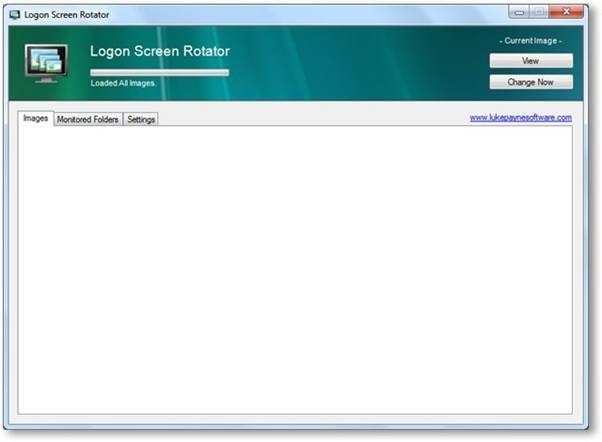 Download Logon Screen Rotator from here.